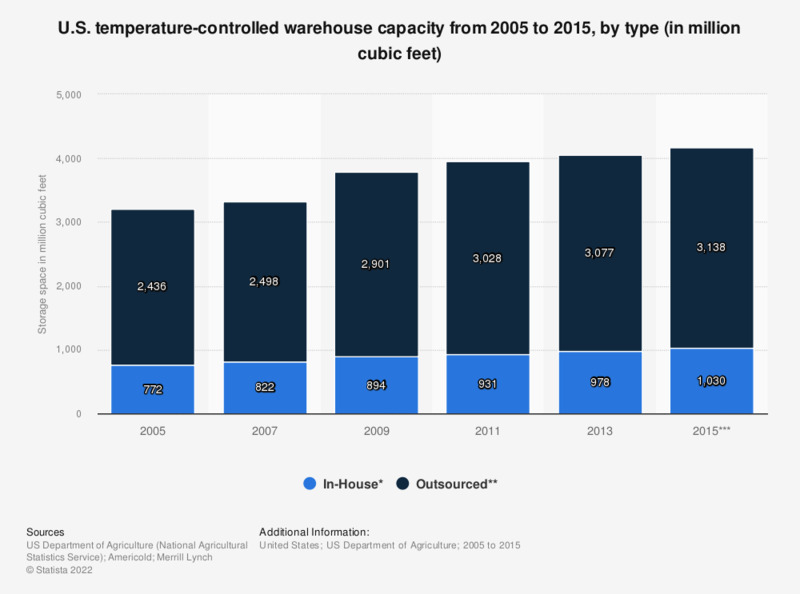 This statistic shows the capacity by type of temperature-controlled warehouses in the United States from 2005 to 2015. In 2015, there was 3.1 billion cubic feet of capacity in outsourced temperature-controlled warehouses in the U.S.
* In-house refers to warehouse space owned and managed primarily by the food producers, and also distributors, retailers and other businesses that move their own goods through the cold chain. ** Outsourced refers to warehouse space owned or managed by storage and logistics companies. *** Data as of October 2015.